Script It! is the lite version of our professional screenplay development software Movie Outline which was created by a produced writer to simplify the screenwriting process. Script It! has fewer development and production features but is ideal for the first-timer because it helps you create your screenplay step by step and includes a screenwriting glossary and story breakdowns and analysis of Ghost, Spider-Man and Scream. Unlike regular word processors, Script It! is tailored for screenwriting and allows you to focus on your story and characters while it handles the formatting through handy "Tab and Enter" keyboard shortcuts and auto-complete. Script It! guesses character names as you type dialogue, suggests scene headings and transitions and automatically paginates your script to industry-standard guidelines, allowing you to maintain your creative flow while it handles the technicalities. Like Movie Outline, Script It's intuitive design helps you build and navigate your outline, script and notes step by step through an AV remote-style console which also allows you to reorder your steps.. or you can drag and drop them in your outline list. Planning your story and script in this way helps you break your plot down into key sequences and see an overview of your entire narrative while working on individual scenes. This "sequencing" methodology (taught at USC) allows you to be creative while at the same time encouraging a structured approach to your screenwriting. For novices learning the craft of screenwriting, or professionals with limited understanding of film-financing and production terminology, Script It! has a glossary with over 250 screenwriting and film-making definitions. As a writer, you never stop learning and there is no substitute for reading shooting scripts of produced movies which are now freely available in PDF format on the web and can easily be downloaded for reference. You can then compare various writing styles and see the professional use of terms contained in the glossary. To have a good story you need great characters but finding the best name to suit the personality can sometimes be hard. That’s where Script It’s powerful Character Name Wizard comes in. Choose from over 140,000 first and last names categorized by gender, origin and meaning. You can filter your search by male or female, origin (such as "French") and meaning (such as "Happy"), select from a list of results, or generate a list of random names until you find one that fits. You can even create a favorites list for future use. As every writer knows, writing a screenplay is not just about the formatting, it's also about the "process" and part of the process is keeping track of the many ideas that pop up along the way. What A Great Idea For A Scene! 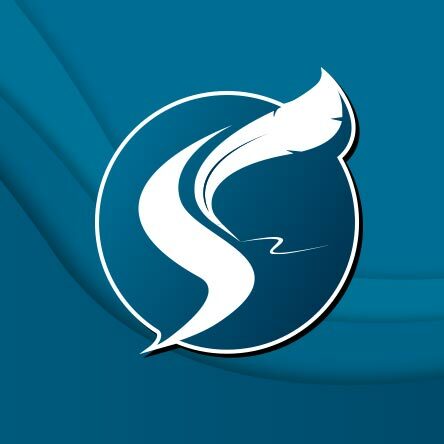 Script It’s powerful Scratch Pad feature allows you to easily organize your notes in one place and categorize them into folders such as story ideas, research, character notes, plot lines and script snippets. Through its handy right-click "Send To Scratch Pad" menu option you can quickly select some text, such as a scene or dialogue exchange, and then create an instant copy of it in your Scratch Pad for future reference or use.